Well the summer holidays have now come to an end ….and what an eventful few months they have been! Family reunions, shopping trips, hospital appointments, physio appointments, gyrotonics and catching up with all my friends. Also a radio interview with Radio one, which will be broadcast this month. These are just a few things which occupied my time at home and I could not have asked for a better three months! The holidays flew by so quickly and I am certain that I could not have crammed in any more enjoyable things than I did. 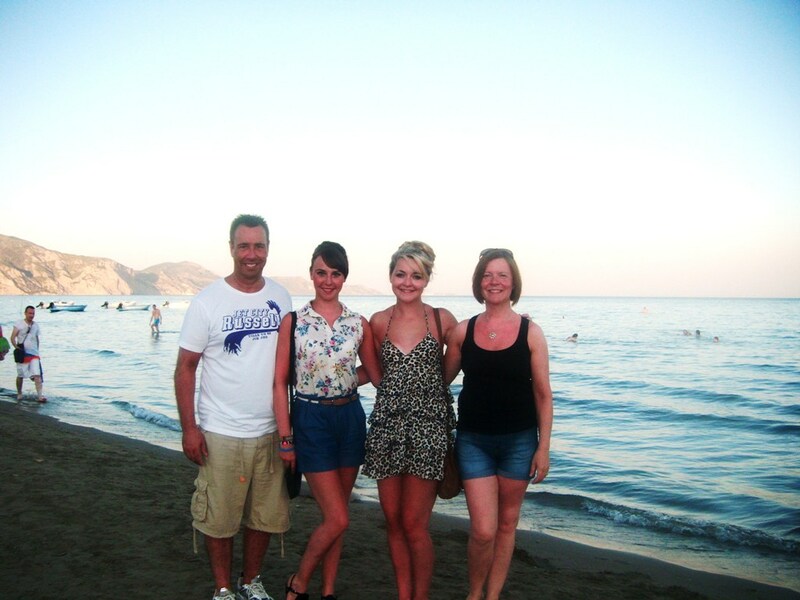 I was lucky enough to be able to go on holiday to Greece for two weeks with my Mum, Dad and best friend Megan. Beautiful island, sand, sun and most of all … relaxation – just what the doctor ordered! While my parents lapped up the sights and tranquillity of Greece, Megan and I had other things on our minds. We made a joint decision to explore as much of the Greek night life as possible! 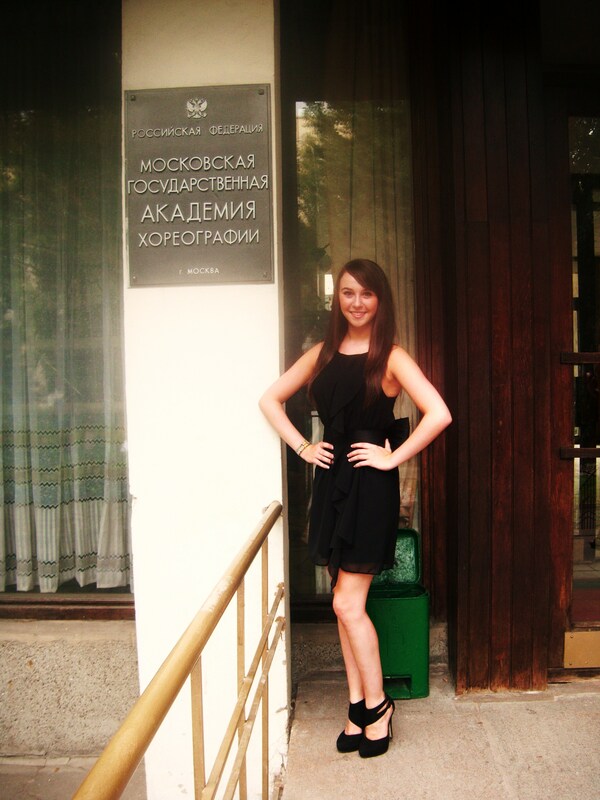 Although we sampled a great deal, the holiday was for me to recuperate and I found it was also ideal for me to get back that quality time I had missed with my Mum and Megan.Being in Russia has made me realise just how close I really am to my family and friends and also how much I miss them when I am away. Being with them for the full summer holidays gave me the peace of mind that they are not going anywhere and every time I return home, no matter how long I have been away for, things will never change and they will revert straight back to the way they where – as if I had never gone! Time passes so quickly and this makes you treasure every moment you have with everyone you love. On top of all the excitement that Scotland had already provided I was overwhelmed when I received an email from a lovely lady called Elizabeth Ferguson who works for The Royal Ballet in London. 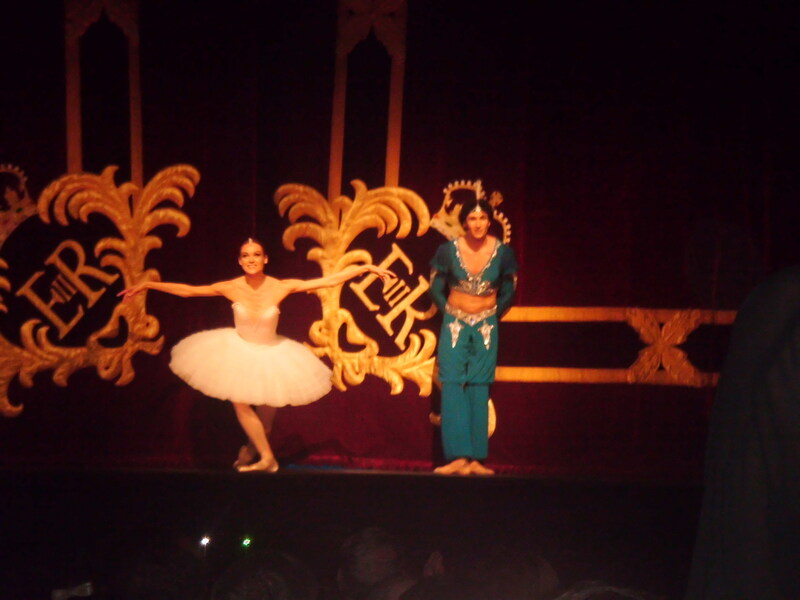 Elizabeth had previously read my blog and noted that I would be travelling to London to see the Mariinsky perform La Bayadère and kindly invited me to tour around the Royal Opera House before the afternoon performance! I honestly believed that I was having a behind the scenes tour of the Royal Opera House, which I was totally delighted to be invited too. However, I was so excited when I was told by Miss Ferguson that not only was I allowed a viewing of The Royal Ballet’s company class but also the Mariinsky’s company class! These two ballet companies are truly out of this world to watch and it was amazing to see the differences between Russian and UK technique. I was also so privileged to be introduced to the Director of The Royal Ballet, Dame Monica Mason, and also Alexander Parish from the Mariinsky Ballet Company. All of the dancers that I saw participate in class were such an inspiration and I can’t thank Miss Ferguson enough for allowing me to have this fantastic opportunity! Thank you also for the lovely t-shirts which you gave me as a gift after my visit. After my visit to the ROH I decided to travel a few stops on the tube station in order to visit a close friend, Emma Findlay, who is also a ballet dancer. Emma trained and performed with The English National Ballet and now lives in London and it was great to have a little catch up. From there it was straight to the hotel in Covent Garden to get changed and meet with Mrs Maureen Findlay and her two sisters Janette and Evelynn, as I had said in my last blog Maureen had given me a gift of two tickets for the evening performance of La Bayadère performed by the Mariinsky Ballet Company. Maureen absolutely adores the Bolshoi Ballet Company and travels frequently to see them perform. When she offered me once again to come to London to see the ballet, on this occasion the Mariinsky Ballet (I was lucky to be invited last year to see the Bolshoi Ballet Company also), I was over the moon and I am forever grateful to her and for all her kindness that she and her husband Brian constantly have shown me. The Mariinsky company were absolutely beautiful and although they are such strong dancers they seem so light on their feet and their heavy pointe shoes certainly didn’t make a noise as they landed their jumps … putting me to shame! I had such a fantastic trip to London despite it only being for a day and night! The trip was even more special to me as it made me realise how much confidence I have gained since moving from Scotland to Russia. I now have no issues what so ever about flying to London or any other country and being alone and also finding my hotel… if you had asked me to do all this a year ago, I am sure I would have dragged my poor mum alongside me! In my last week in Scotland I tried to cram in as many meetings and dinners with family and friends as I possibly could before I departed for Moscow. The end of this summer was a complete contrast to last year, I managed to only shed a tear on my last night compared to my scheduled daily breakdowns last year – ha ha! This year I feel a lot more confident and settled, as I know what I am returning to and am now familiar with my surroundings. Last year I was the new girl with so many dreams but no idea what I was about to embark on. Saying goodbye to my mum and dad in Glasgow airport was as hard as ever… but what did I expect? I don’t think that part will ever get any easier! However, my mood was lifted instantly when I saw Natalie Carter in London and she was so surprised when I greeted her by running up behind her and throwing her up in the air! This act proves to me that sometimes I think I am better than some of the boys in my pas de deux class, as I seem to have such strength for lifting the females… ha ha – I am only kidding. We sat talking for 5 hours from London to Russia about all the shenanigans that occurred during both our summer holidays and before we knew it time had flown and we had landed in Russia. As we entered into the academy it felt as though I had never been away. The sound of the Russian language came as quite a shock to me, but I know I will soon get used to it again. Three of the boys from the school kindly offered to carry our 5 overweight suitcases up the three flights of stairs in the academy as the lift had been closed an hour previous to our arrival. The dorms had been dramatically modernised over the summer and although they are not yet finished they are a vast improvement to how they looked in my first year. I am sure once completed the academy is going to look lovely and it is quite exciting to see how it is transforming. 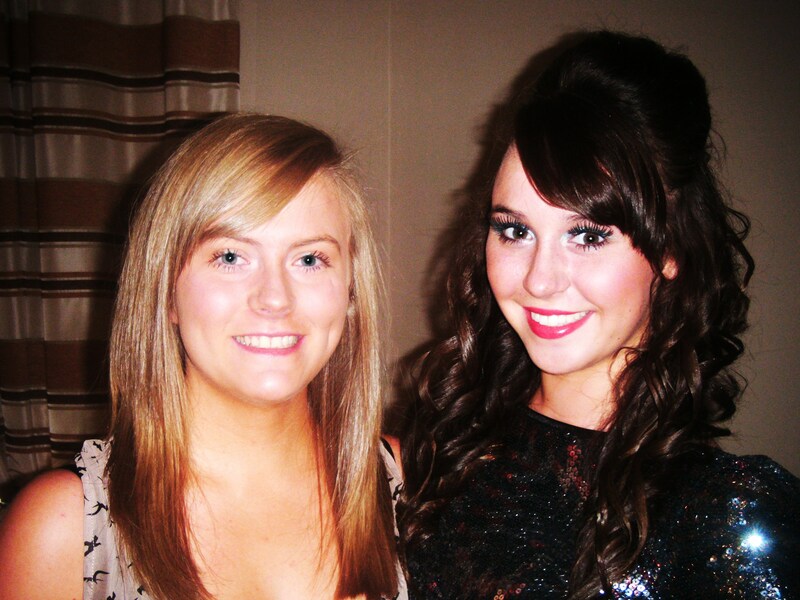 This year I would like to welcome our new girl Heather from England! Heather has joined us from Tring in London and the British Bolshoi crew are all doing as much as we can to make her feel welcome. It was lovely to meet her mum, dad and brother, as Paula (her mum) had been in contact with my mum over the summer and it was great to finally meet them all. It felt absolutely amazing to be able to translate for Heather and her family, as obviously I was in her position this time last year and I know how scary it can be, so if ever she needs anything I am more than willing to help! I’m also sure there will be occasions when I will call upon her to help me! I am in high spirits about the upcoming year at the academy and I am definitely looking forward to everything that will be thrown at me. Today was my first taste of the second year course and we had to get our high heels and sophisticated dresses on to attend the welcoming/ graduating ceremony. It was scary to think that in less than two years Natalie, Daniel and I will be standing up there! I also briefly got to speak to my ballet teacher Revich and she is excited about getting her teeth stuck into our class this year and that task will begin from tomorrow! I look forward to keeping you all informed about my second year at the Bolshoi Ballet Academy and I have my fingers crossed that I will have lots of positive things to tell you about through the year. Until then … wish me luck! !